From the hit Studio Ghibli film Kiki's Delivery Service comes the Kiki's Delivery Service Jiji in Cage Paper Theater. Clever artistic uses of paper are one of the many things characteristic of Japanese culture and this item is no exception. 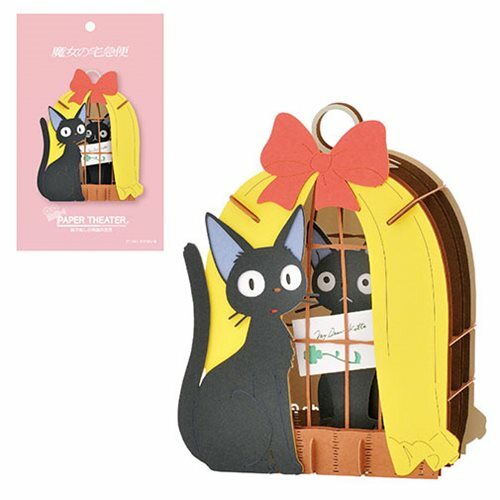 The Kiki's Delivery Service Jiji in Cage Paper Theater allows fans to create a multi-layered paper 3D scene of Jiji in a cage.